Tournament boocia set from Italy. 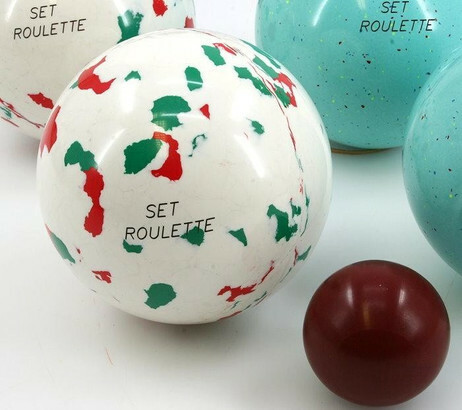 2 x 2 synthetic game bowls (diff. Designs) - diameter: approx. 107mm and weight: approx. 890 g - and one pallino in 50mm. Incl. instruction sheet and nylon bag. 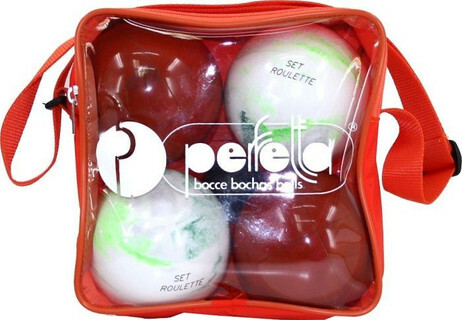 PERFETTA is one of the best known manufacturers of competition boccia balls. 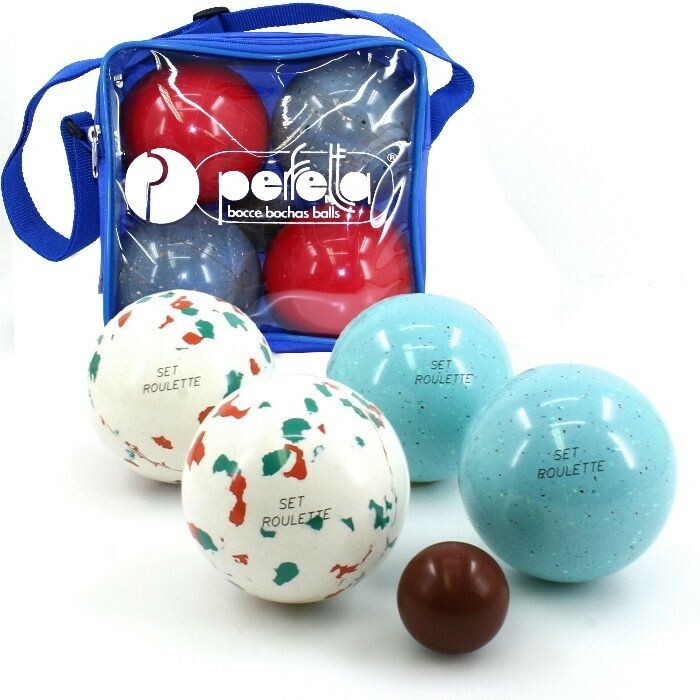 PERFETTA connects with the Boccia products tradition with advanced technology. Original tournament boocia set from Italy. 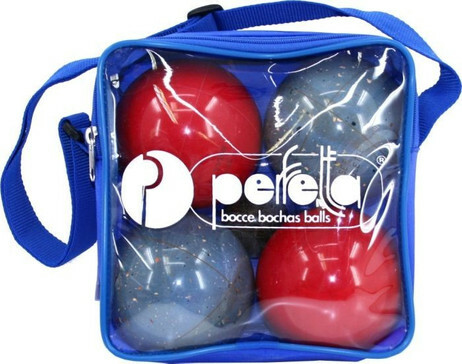 2 x 2 synthetic game bowls (diff. Designs) - diameter: approx. 107mm and weight: approx. 890 g - and one pallino in 50mm. Incl. instruction sheet and nylon bag.